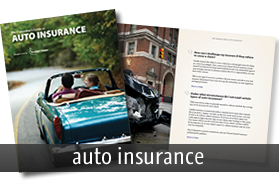 Have you noticed your auto insurance rates keep creeping up every renewal? You’re not alone. In fact, it is probably one of the biggest complaints insurance agents currently hear. If you haven’t had any tickets or accidents, and your car keeps getting older, then why does your auto insurance keep getting more expensive? The agents at Kasmann Insurance Agency would like to help you understand how auto insurance rates are calculated and answer that crucial question for you. First, let’s talk numbers. According to Forbes Magazine, auto insurance rates have consistently increased nationwide over the past 5 years. While the overall Consumer Price Index in America has only increased 4.5% since 2012, auto insurance rates have gone up 21.5%. The last time the insurance industry saw that kind of a steep increase was 1989-1993, when auto insurance costs went up 30%. Next, let’s talk about how auto insurance rates are calculated. There are a myriad of factors that go into calculating an auto insurance rate. Many of those factors are based on crash statistics for your location or for your specific vehicle, and are beyond your control. Policyholders often think their premium should reduce as their car ages, and while it is true that the model year factor will change, the cost for parts, labor, and liability to others do not change. In fact, according to the Bureau of Labor Statistics, the cost of medical services has risen 12% in the past five years, which affects bodily injury liability rates. Most people are somewhat familiar with the factors on the list above. One factor that policyholders often question is why their credit affects their insurance rate. While insurance scores are probably a topic for another article, most insurance companies have been looking at credit for over a decade, or more, now. They have been able to show a direct correlation between a person’s credit worthiness and how they will pay their insurance premiums, and even whether or not they are prone to accident frequency and severity. Credit models are currently used in 47 states in the U.S. and Missouri is one of them. If you receive an adverse action notice from your insurance company, take a look at “7 Ways to Fight Unfair Pricing” from this Consumer Reports article. 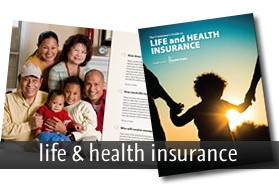 Insurance is a for-profit industry and companies make money by charging premiums for coverage, and also by collecting returns on their investments. They lose money through operating costs (overhead, salaries, supplies, and reinsurance – believe it or not, insurance companies need their own insurance and it goes up, too!) and claims. In 2010, the industry average was a 99.7% Combined Loss Ratio (the sum of operating expenses and claims paid divided by premium collected). Anytime the Combined Loss Ratio is below 100%, companies are making an underwriting profit; if the percentage if above 100, companies are paying out more in claims than they are earning in premiums. The Combined Loss Ratio for the industry was 107.1% last year. Out of the list above, increased claims are a major contributing factor. Since gas prices have been reasonably low in the last few years, more people can afford to drive, or drive more. There is an old saying in the insurance industry that “frequency leads to severity” and driving more frequently certainly causes an increased likelihood of an accident. One of the other leading causes of increased claims is distracted driving. There are several reports that the millennial generation feels as though they unfairly get the blame for a lot of things in our society lately, but they do contribute to quite a lot of distracted driving. They grew up with technology that older drivers did not, and they are a generation that learned to text first and drive second. One report stated that 36% of drivers text while they drive. This leads to increased weaving, rear-ending, and distracted driving in general. In fact, it caused a 6% increase in accident fatalities last year, alone. Of course, there is also an increase in the number of claims not tied to driving, at all. 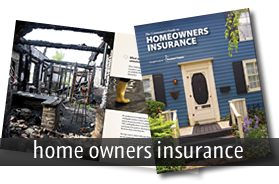 Comprehensive coverage on your auto policy is what covers things like floods and fires, and other “acts of nature”. Earlier this year, Forbes reported that insurance companies have paid more for comp claims in the past couple years, than they have in the past decade. In order to avoid a significant spike in comprehensive rates, Forbes predicted we would have needed an incredibly mild storm season without any hurricanes. That news came before Harvey and Irma devastated the south, and more recently, there are wildfires consuming vehicles out west. This has not been a “mild season” for the insurance industry, at all. In conclusion, you are not likely to see your auto insurance rates go down anytime soon. Unfortunately, you should probably just start to expect an increase in your premium each renewal for the foreseeable future. 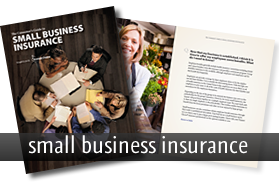 While longevity with a company can offer some increased benefits (lower insurance scores and with some companies, even minor accident forgiveness), if you feel your rates have gotten out of hand, call us. As an independent insurance agency, Kasmann Insurance represents several companies and we can “shop around” to see if we can find you a better rate. While we do look at customer renewals each month, it never hurts to give us a call.